Originally from Braybrook, Le Sueur was a fast and flashy wingman who spent just one season with the Pies, having previously played 18 games with Footscray between 1937 and 1939. His Footscray career got off to an uncertain start when, having been named to play with the seniors against Fitzroy in 1937, he had to withdraw after his work refused to grant him time off! He had more luck in future weeks, however, and made quite an impression in his debut season. Not well enough, it seems, to have kept his place. Le Sueur was dropped after the Round 9 meeting with Footscray, and that game against his old club proved to be his last in League football. 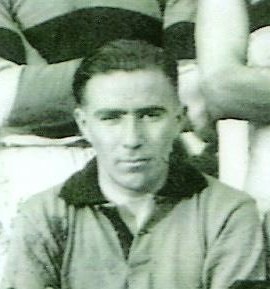 He was cleared to Williamstown in 1941, and would later be a part of that club’s 1945 premiership side. He also returned to his old club, Braybrook (where he acted as secretary) when the VFA went into recess during the Second World War.